We are a leading Manufacturer of ice cream packaging from Mumbai, India. Being as the reputed organizations in the market, we are engaged in offering excellent quality Ice Cream Packaging products. Owing to its salient features, our offered packaging products have gained exceptional value in the market. The offered packaging products are dully tested on various quality parameters under the inspections of our quality controllers. 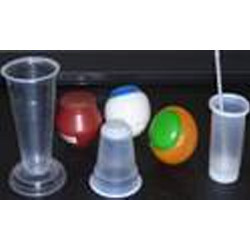 Moreover, our respected clients can avail these packaging products from us at affordable prices. Looking for Ice Cream Packaging ?